University policy and federal law (45 CFR 46) require that all research involving human subjects, bio specimens and/or tissue samples from humans, and/or private identifiable data, must be reviewed by an Institutional Review Board (IRB). 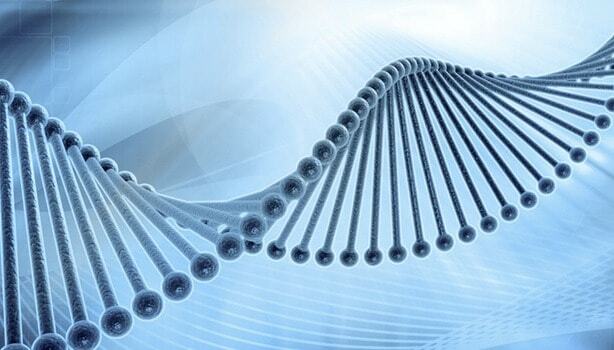 IRBNet is the protocol management system that offers secure, web-based collaboration tools to support the design, management, review and oversight of research involving human subjects. Go to http://www.irbnetresources.org and click on the Resources link. In the box Search for Organization, type University of Delaware (make sure Research Institutions is selected) and then click the Search button. 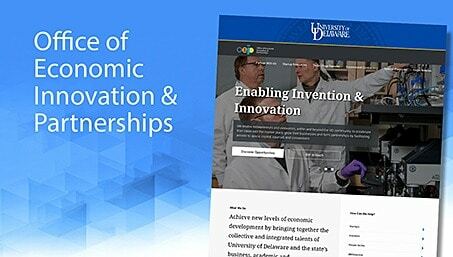 In the search results, select University of Delaware, Newark, DE, and click Continue. Complete the required fields and click Continue (Red * indicates required fields). Verify that all information is correct and click the Register button affiliated with the University of Delaware IRB. At the Registration is Complete screen, click Continue. Next, you will receive an email from IRBNet with the subject Activation Required. Click on (or copy and paste) the IRBNet link in the your email message to return to the IRBNet site. Login with your IRBNet username and password to authenticate your registration. Go to http://www.irbnet.org and log in. In the blue menu bar on the left-hand side of the screen, choose Forms and Templates. In the Library pull down menu, select University of Delaware IRB – Documents for Researchers. From the list of documents in the library, download the University of Delaware Application Instructions if you are unfamiliar with the requirements or process. Download the New project protocol form and the applicable Informed Consent Form Template (Biomedical or Social-Behavioral-Educational) and save to your computer. Fill out the Protocol form, the Informed Consent and any other forms that may apply (e.g., Assent Form, Prisoners in Research Form, HIPAA authorization, etc.). In blue menu bar on left-hand side of the page, choose Create New Project. Fill out the online information, including title, name, PI, etc. (Red * indicates required field) and click Continue. Click on the Add New Document button to upload your protocol form, consent form, surveys and questionnaires. Choose Sign this Package from the blue menu bar on the left-hand side of the screen to electronically sign the submission. Choose Submit this Package from the same blue menu bar to submit the Project for IRB review. Upon submission, you will receive an electronic notification via IRBNet. From the Library pull down menu, select University of Delaware IRB – Documents for Researchers from the Library menu. Download to your computer and fill out the relevant form. In the blue menu bar on the left-hand side of the screen, choose My Projects. Click on the Project Title to select the Project for which you are making the additional submission. Click on the Project History button on the left menu, then click on Create New Package box. In the blue menu bar on the left-hand side of the screen – click on Designer. Click on the Add New Document box to upload your documents. Upon submission, you will receive an electronic notification on IRBNet. Educational Activities that ARE Human Subjects Research: If an instructor determines that there is a possibility that a student’s proposed research project may result in a formal presentation or publication, he/she should recommend that the student submit the project for IRB review before beginning the study. Educational Activities that ARE NOT Human Subjects Research: All human subjects research requires prior institutional approval, but not all data gathering by students constitutes human subjects research. The definition of research below establishes that an activity must be designed with the intent to develop or contribute to “generalizable knowledge.” Classroom activities designed to teach research techniques or allow students to practice those techniques are not considered research with human subjects and are not required to be submitted to the UD IRB for review. the student volunteers or other participants are clearly informed that the activities are an instructional exercise, and not actual research. Training in the protection of human subjects in research is required for all university members (i.e., faculty, students, researchers and staff), and collaborators, who will directly interact with research participants or have access to identifiable private information. Training in Good Clinical Practice (GCP) must be completed by all research team members involved in NIH-supported clinical trials. Exact definitions of what type of studies constitute a clinical trial are different depending on the applicable oversight agency. More details on clinical trials can be found below. Educational Activities that ARE NOT Human Subjects Research: All human subjects research requires prior institutional approval, but not all data gathering by students constitutes human subjects research. The definition of research below establishes that an activity must be designed with the intent to develop or contribute to “generalizable knowledge.” Classroom activities designed to teach research techniques or allow students to practice those techniques are not considered research with human subjects. the student volunteers or other participants are clearly informed that the activities are an instructional exercise and not actual research. Includes both physical procedures by which data are gathered (for example, venipuncture) and manipulations of the subject or the subject’s environment that are performed for research purposes. Includes communication or interpersonal contact between investigator and subject. The probability and magnitude of harms and discomfort anticipated in the research are not greater than those ordinarily encountered in daily life, or during the performance of routine physical or psychological examinations or tests. Includes information about behavior that occurs in a context in which an individual can reasonably expect that no observation or recording is taking place, and information which has been provided for specific purposes by an individual and which the individual can reasonably expect will not be made public (for example, a medical record). Private information must be individually identifiable (i.e., the identity of the subject is or may readily be ascertained by the investigator or associated with the information) in order for obtaining the information to constitute research involving human subjects. In the context of research, the Health Insurance Portability and Accountability Act (HIPAA) Privacy Rule establishes the conditions under which protected health information (PHI) may be used or disclosed by covered entities for research purposes. The Privacy Rule protects the privacy of individually identifiable health information, while at the same time ensuring that researchers continue to have access to medical information necessary to conduct research. By obtaining individual authorization: An Authorization is basically an individual’s written permission or consent to use his or her PHI for research purposes. HIPAA requires that an Authorization be written in plain language and contain certain “core” elements. Research authorizations may be combined with an informed consent form or set forth in a separate Authorization document. See forms and templates in IRBNet for further guidance on what to include in a HIPAA Authorization for research. The research could not practicably be conducted without access to and use of the protected health information. By using de-identified information: Health information that has been “de-identified” in a manner required by HIPAA is not considered PHI and may be used or disclosed for research purposes without individual authorization. De-identification can be done by removal of all 18 elements that could be used to identify an individual and/or the individual’s relatives as described in the Privacy Rule. Alternatively, de-identification may be established by the use of statistical methods. By using limited data sets with a data use agreement: A limited data set is described as health information that excludes certain listed direct identifiers but that may include city, state, ZIP Code, elements of date and other numbers, characteristics or codes not listed as direct identifiers. It is the responsibility of the researcher and the party releasing the PHI to have in place and maintain a copy of a data use agreement that meets HIPAA requirements. By using PHI for purposes preparatory to research, with certain assurances and with no removal of any PHI from the covered entity (physically or electronically). The University of Delaware has one IRB registered with DHHS (IORG #0000279). UD IRB membership is in accordance with the applicable regulatory requirements in 45 CFR 46.107 and 21 CFR 56.107. 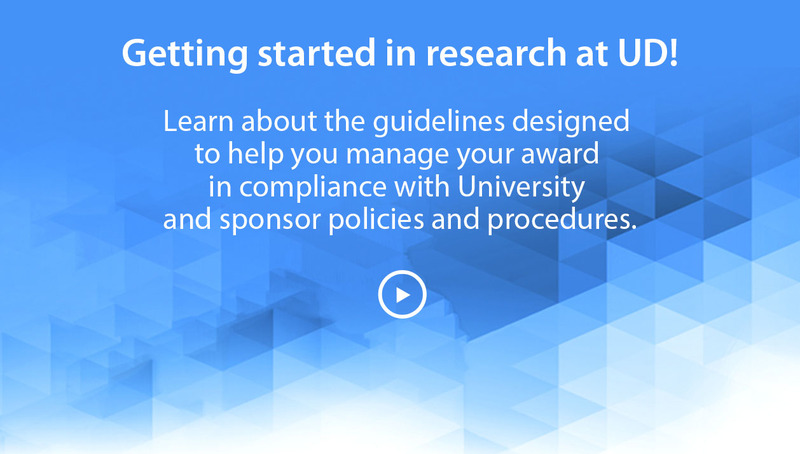 IRB membership includes diverse backgrounds and expertise to promote adequate review of research commonly conducted by UD researchers. Membership shall include both scientists and non-scientists, as well as outside community members. 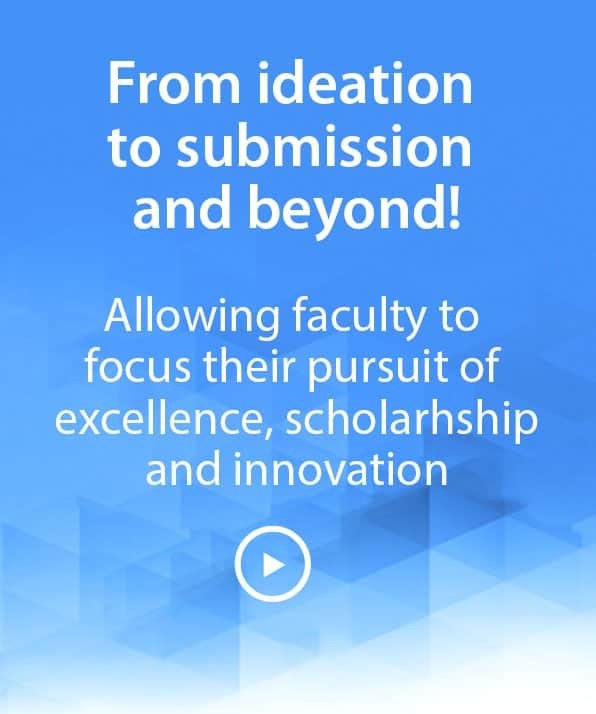 Members from the UD faculty and staff are to be nominated by their respective dean, department chair or supervisor, in concurrence with the IRB Chair and the UD Vice President for Research, Scholarship and Innovation. Outside community members (not affiliated with the UD community) will be nominated by the IRB Chair. The UD IRB members, including the IRB Chair, are appointed by the UD Vice President for Research, Scholarship and Innovation. Members shall serve for terms of three years, renewable with concurrence of their respective dean, department chair or supervisor, the IRB Chair and the UD Vice President for Research, Scholarship and Innovation. All members will complete human subjects protections and IRB training prior to starting each term. Members are expected to attend regularly scheduled IRB meetings. IRB members may have designated alternate(s) members. An alternate is an individual appointed to the IRB to serve in the same capacity as the specific IRB member(s) for whom the alternate is named. Alternate members must meet the same training requirements as the full member for which they serve. UD IRB meetings are held monthly. Generally, meetings will be at noon on the third Wednesday of each month. Meeting dates and times are posted on the Research Office calendar of events. For convened IRB meetings the required quorum is defined as more than half of the current full membership. At least one member whose primary concerns are in non-scientific areas, and one member whose primary concerns are in scientific areas must be in attendance to satisfy quorum requirements. In addition, if research involving prisoners is to be reviewed, the member designated as the prisoner advocate must also attend. IRB members must avoid potential conflicts of interest when conducting protocol review. A potential conflict of interest occurs when a reasonable outside observer might perceive the circumstances as creating an apparent conflict of interest. Examples of such potential conflicts include an IRB member having a close personal relationship with a researcher submitting a proposal, an IRB member serving as a researcher on the proposed project, or an IRB member serving as a consultant to the project. IRB members with potential conflict of interest must recuse themselves and not be present for the discussion, except as to provide information requested by the IRB, and vote on the research. Recused members will not be counted towards the quorum requirements in the review and voting of the research for which they recused. Quorum will be determined and verified by the IRB office staff member(s) attending the meeting before the discussion and vote for each item reviewed. IRB decisions will be made based on the vote of the majority of the eligible members present at the meeting. Participation in a convened meeting via tele or video conference is acceptable to meet quorum requirements provided the member(s) have received the materials to be reviewed prior to the meeting and can actively participate in the discussion. The University of Delaware has a Federalwide Assurance FWA (#00004379) on file with the Department of Health and Human Services (DHHS) Office for Human Research Protections (OHRP). Through this document the University commits itself to upholding the Code of Federal Regulations and the ethical principles of the Belmont Report for all research involving human subjects conducted by University faculty, staff and students. The UD Vice President for Research, Scholarship and Innovation is the Signatory Official of the UD FWA. There are six defined categories of research exempt from the regulatory requirements imposed by the “Common Rule.” Exempt review determinations MUST be made by the IRB office and require the submission of a research protocol to the IRB. (b) research on the effectiveness of or the comparison among instructional techniques, curricula or classroom management methods. (b) any disclosure of the human subjects’ responses outside the research could reasonably place the subjects at risk of criminal or civil liability or be damaging to the subjects’ financial standing, employability or reputation. Exemption 2 does not apply to children except for research involving observations of public behavior when the investigator does not participate in the activities being observed. (b) federal statute(s) require(s), without exception, that the confidentiality of the personally identifiable information will be maintained throughout the research and thereafter. Research involving the collection or study of existing data, documents, records, pathological specimens or diagnostic specimens, if these sources are publicly available or if the information is recorded by the investigator in such a manner that subjects cannot be identified, directly or through identifiers linked to the subjects. (d) possible changes in methods or levels of payment for benefits or services under those programs. (b) if a food is consumed that contains a food ingredient at or below the level and for a use found to be safe, or agricultural chemical or environmental contaminant at or below the level found to be safe, by the Food and Drug Administration or approved by the Environmental Protection Agency or the Food Safety and Inspection Service of the U.S. Department of Agriculture. Exempt reviews are conducted as projects are submitted. Review times may vary depending on the overall volume of projects to be reviewed by the IRB at any given time. In most cases exempt reviews are completed within two weeks from the submission date. A project determined exempt does not require annual continuing reviews. Informed consent forms of projects determined to be exempt will not be stamped by the IRB. The IRB office should be consulted about proposed changes that could affect the exempt classification. Expedited review procedures may be used for certain research activities described in the federal regulations. Expedited reviews are done by one or more experienced reviewers designated by the chairperson from among members of the IRB. Projects approved by the expedited review process are subject to the same regulatory requirements as those approved on a full board review and must be periodically reviewed by continuing review before the expiration date set on approval (no longer than one year since approval). Informed consent forms associated with projects reviewed by expedited review will be stamped by the IRB with the approval and expiration dates. IRB-stamped documents are posted in IRBNet after approval and must be used when obtaining the informed consent of research participants. Protocols eligible for expedited review are evaluated on a rolling basis as they are submitted to IRBNet. Review times for expedited reviews vary depending on the total IRB submissions load at any given time and may take, on average, about two weeks from the time of complete submission. Clinical studies of drugs and medical devices only when condition (a) or (b) is met. (b) from other adults and children, considering the age, weight and health of the subjects, the collection procedure, the amount of blood to be collected and the frequency with which it will be collected. For these subjects, the amount drawn may not exceed the lesser of 50 ml or 3 ml per kg in an eight-week period and collection may not occur more frequently than two times per week. (j) sputum collected after saline mist nebulization. (e) moderate exercise, muscular strength testing, body composition assessment and flexibility testing where appropriate given the age, weight and health of the individual. Research involving materials (data, documents, records or specimens) that have been collected or will be collected solely for nonresearch purposes (such as medical treatment or diagnosis). Collection of data from voice, video, digital or image recordings made for research purposes. Research on individual or group characteristics or behavior (including, but not limited to, research on perception, cognition, motivation, identity, language, communication, cultural beliefs or practices, and social behavior) or research employing survey, interview, oral history, focus group, program evaluation, human factors evaluation or quality assurance methodologies. Continuing review of research not conducted under an investigational new drug application or investigational device exemption where categories two (2) through eight (8) do not apply but the IRB has determined and documented at a convened meeting that the research involves no greater than minimal risk and no additional risks have been identified. Review of non-exempt research that does not qualify for expedited review or that may present more than minimal risk to the subjects must be reviewed at a convened meeting of the University’s IRB. At the University of Delaware (UD) the IRB meets once every month and investigators proposing new protocols are usually invited to attend the IRB meeting to present their research and address any questions the Board members may have. 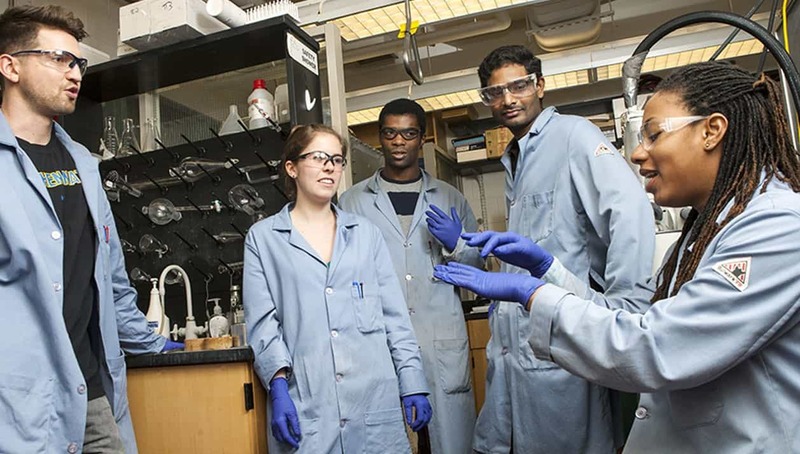 Students having protocols reviewed at a convened meeting and presenting to the IRB must be accompanied by their faculty advisor. The meeting dates for the IRB as well as the submission deadline for protocols to be considered for full board review at each month’s meeting are set well in advance and can be found in the Research Office Calendar of Events. The number of protocols to be reviewed at each meeting may be limited due the constraints of time and the complexity of other items on the agenda. Protocols will be accepted for review in the order received. If the board is not able to review a protocol in a particular month, it will be given priority for review in the following month. 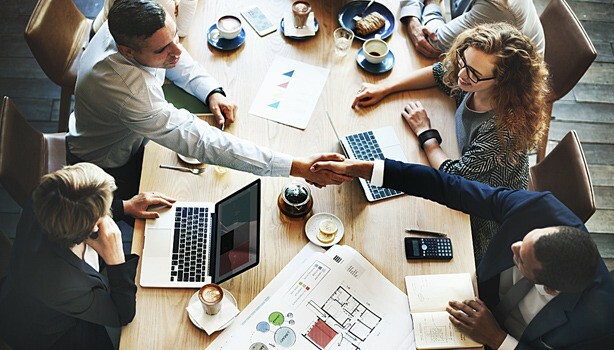 Investigators submitting new projects are normally invited to attend the IRB meeting to present their project to the Board and answer any questions or concerns IRB Members may have. The results from the meeting are later communicated to the PI and any conditions the IRB may have set, before approval can be effective, will be addressed then. If a student-led new project is to be reviewed by the full board the academic advisor responsible for the student and project must accompany the student to the meeting. Projects approved at a convened full board meeting must be periodically reviewed by continuing review before the expiration date set on approval and no less than once a year. Informed consent forms associated with projects reviewed at a full board will be stamped by the IRB with the approval and expiration dates. IRB-stamped documents are posted in IRBNet after approval and must be used when obtaining the informed consent of research participants. In addition to the types of review listed above the IRB may provide administrative reviews when appropriate. 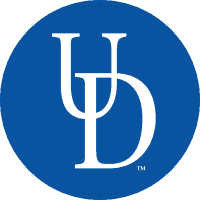 Administrative reviews are used in cases in which the University of Delaware needs record of research with human subjects in which UD is engaged but for which review and approval are not issued by the UD IRB. This is the case, for example, when UD investigators are part of a research team performing research at another institution. Depending on the nature of the research and the collaboration arrangement, UD IRB may rely on the review and approval from the other institution’s IRB. UD keeps record of that reliance via an administrative review. 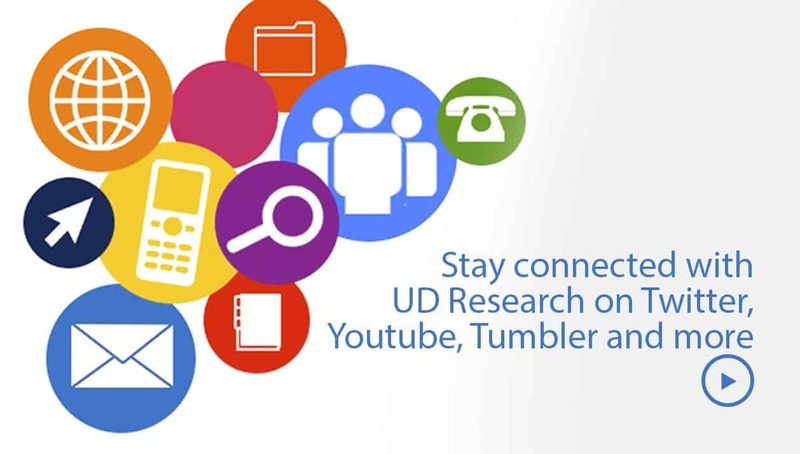 All UD investigators engaged in collaborative research with human subjects must consult with the UD IRB office and submit that proposed effort to the UD IRB regardless of other IRB reviews being sought after. Here is an overview of the Life Cycle of an IRB Protocol. All research with human subjects performed by University of Delaware researchers must be reviewed and approved by the UD IRB. Submissions to the University of Delaware IRB must be made using the IRBNet protocol management system (www.irbnet.org). 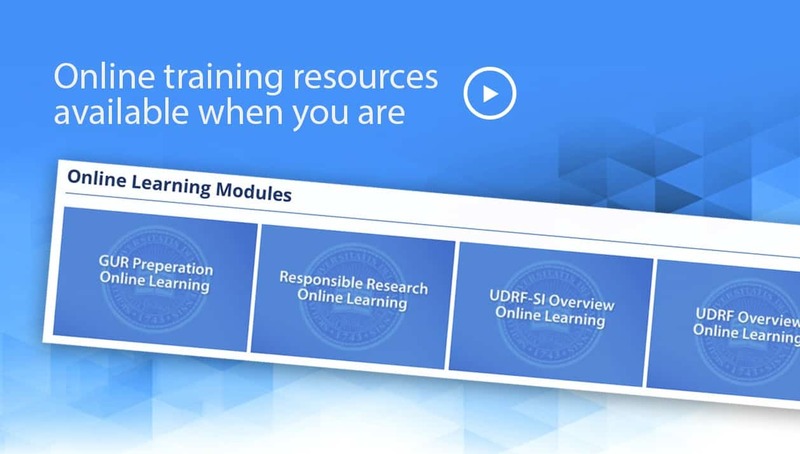 Step-by- step instructions on how to navigate IRBNet and further training on how to use the system can be seen above. 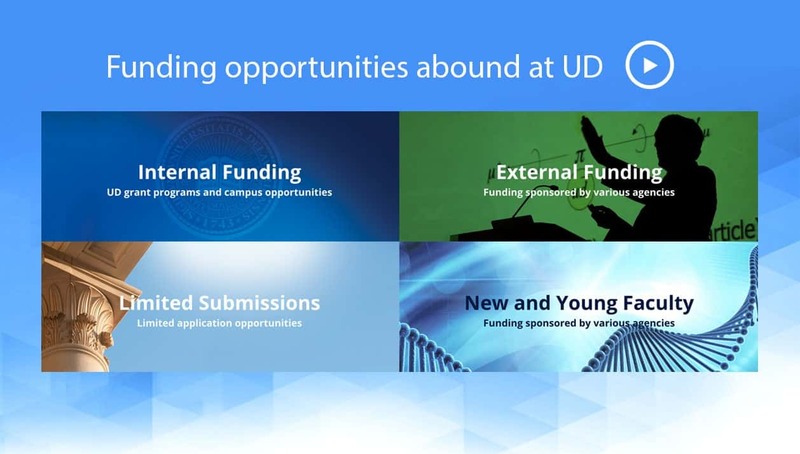 Collaborative Research that involves UD researchers must be submitted to the UD IRB for review even if the project is to be reviewed and approved by another IRB. The submission package must include the approval letter, the protocol form submitted to the other institution as well as the UD protocol form clearly describing the specific role and data access the UD personnel will have in the project. Student-led projects to be reviewed by the IRB must be shared and signed off in IRBNet by the faculty advisor responsible for the student and project. Student projects will not be reviewed until signed by the faculty advisor in IRBNet. Any research involving human subjects, bio specimens and/or tissue samples from humans, and/or private identifiable data must be reviewed by an Institutional Review Board (IRB). Submissions for review must be done using IRBNet and all new project application packages must include the protocol form properly filled out and, when applicable, the informed consent document(s), and any other relevant materials (e.g., advertisements, research instruments, surveys, questionnaires, etc.). Forms and templates are available in IRBNet under the “Forms and Templates” tab in the left-hand side menu options. Once submitted the IRB office will determine the type of review needed. If the project is deemed to be exempt or suitable for an expedited review, the review will be performed on an ongoing basis as the submission is received. Processing times will vary depending on the total workload of the IRB at a given time. When a new project is determined to require full board review it will be added to the next available IRB meeting agenda as it is received. 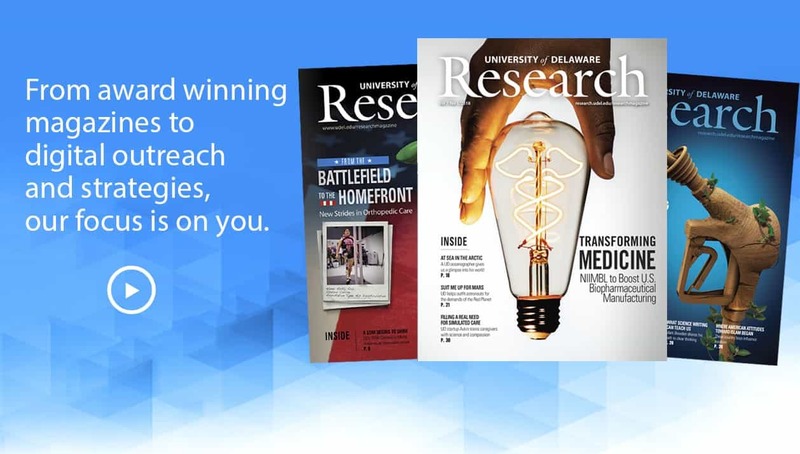 The IRB at UD meets once a month and deadlines for submissions to be considered for review are posted in the research calendar. After review the IRB office will communicate with the principal investigator and request for any clarifications or edits needed to be completed before approval can be issued. Once a review has been completed, decision letters are uploaded in IRBNet and are always accessible to the investigator(s). Informed consent documents from projects approved via an expedited or full board review will be stamped with the IRB approval and expiration date and also uploaded in IRBNet. Informed consent must be obtained using the stamped version of the approved documents, (i.e., participants signatures need to be collected in a copy of the stamped informed consent). No IRB stamp is added to informed consent documents associated to projects deemed to be exempt. If ANY changes need to be made to an IRB approved protocol, investigators must seek IRB approval of those changes prior to their implementation. Examples of changes that would require the submission of an approval are: changes to the research team members, modifications in the recruitment strategies and/or advertisement materials, any changes to the research instruments already approved, elimination of previously approved procedures and/or data collection measures, new approaches to data processing or storage, edits to the approved informed consent language, etc. Amendments are reviewed as they are submitted and may take on average up to two-weeks to be completed. the tracked changes and clean versions of any documents affected by the amendment (e.g., edits to the previously approved protocol form and informed consent document, advertisement materials, etc.) Tracked changes version of any edited document must show all the markups including what is being added and/or removed. If the amendment does affect the informed consent document, a clean version (changes accepted) needs to be submitted so a newly IRB-stamped informed consent can be issued upon approval. The approval of an amendment normally has no effect on the previously set expiration date. Protocols approved by the IRB, whether under expedited or full board review, are required to undergo continuing review at least once per year, on or before the expiration date set at the time of approval for as long as recruitment and data collection is to take place, and/or private identifiable data is kept. In some cases, the IRB may require more frequent continuing reviews. Expiration reminders are automatically sent from IRBNet to the Principal Investigator (PI) and all others with whom the project has been shared, and granted full access to, in IRBNet. Reminders are sent 60 and 30 days before the project is set to expire. In addition, an expiration alert is sent on the expiration day if no approval has been secured before that day. Applications for continuing review must be submitted with enough time to allow for IRB review prior to the expiration date. In order to maintain the expiration anniversary date, continuing review applications are reviewed no earlier than 30 days before the expiration date (because of this, a 30-day expiration notice will always be received even when the application for review has been submitted early). Once a continuing review is approved a new one-year approval period starts and informed consent documents are stamped with the new approval and expiration dates. Unless eligible for expedited continuing review, protocols originally reviewed and approved by the convened IRB meeting (full board) must undergo a full board continuing review. IRB meeting dates and deadlines must be considered when submitting a continuing application to be reviewed at a full board as to avoid lapses in IRB approval. Continuing review submissions must contain the continuing review form properly filled in and all other current documents relevant to the project (at a minimum the most current previously approved protocol form and a clean version of the informed consent). If any changes are added at the time of continuing review, the tracked changes version of the protocol form and informed consent document(s) need to be added to the continuing review application. Lapses in IRB Approval: It is the responsibility of the investigators to provide in a timely manner the information needed by the IRB to perform its continuing review functions. When continuing review of a research project is not completed prior to the end of the approval period specified, the IRB approval will expire. All research activities involving human subjects (i.e., participant recruitment and/or data collection) must stop after IRB approval expires and cannot be restarted until approval has been secured. Expired projects for which the IRB office has not been notified of the intent for continuation will be closed. Once closed, a project cannot be re-opened and will have to be resubmitted as ‘new’ for review and approval before any research related activities can be re-initiated. Investigators must report to the IRB Office any instances of unanticipated problems (UP), and/or adverse events (AE) related to the research within three days of the incident. suggests that the research places subjects or others at a greater risk of harm (including physical, psychological, economic or social harm) than was previously known or recognized. An adverse event is any untoward or unfavorable medical occurrence in a human subject, including any abnormal sign (e.g., abnormal physical exam or laboratory finding), symptom or disease, temporally associated with the subject’s participation in the research, whether or not considered related to the subject’s participation in the research. Adverse events encompass both physical and psychological harms. They occur most commonly in the context of biomedical research, although on occasion, they can occur in the context of social and behavioral research. Unanticipated problems and adverse events must be reported to the IRB by submitting the appropriate form via IRBNet. Depending on the nature and of the event reported and on a case by case basis the Director of Research Compliance and the IRB Chair will decide if review by the convened IRB of the submission is needed and when a for cause audit of the research project may be required. Auditing will be performed routinely by the IRB office staff to ascertain general compliance with the protection of human subjects requirements and IRB-approved protocol and procedures. In addition, for cause audits will be conducted as deemed appropriate by the Director of Research Compliance, and/or the IRB Chair, to investigate reports of unanticipated problems, adverse events and/or non-compliance. Routine Audits: Projects are selected randomly among those active and approved via expedited and convened IRB review. The principal investigator responsible for the project is contacted to schedule a visit from the IRB office staff member conducting the audit. Prior to the scheduled visit the investigator is sent an outline of the review process. A report is generated after the audit and sent to the investigator for review. Non-compliance and other findings resulting from a routine audit are shared with the IRB. If a non-compliance finding is determined by the IRB to be serious or continuing it will be further investigated and reported to the UD Signatory Official. For cause Audit: Adverse events and/or unanticipated problems involving risk to participants reported to the IRB office may be followed up with an investigation. For cause audits may also be performed to investigate non-compliance with IRB-approved protocols. Depending on the nature of the investigation, for cause audits may be scheduled or unannounced. Reports from a for cause audit will be reviewed by the IRB. Depending on the outcome of a for cause audit and the IRB review of the report, an incident may have to be reported to the UD Signatory Official. The UD Signatory Official has the authority to decide if, as per the stipulated guidance, further reporting to OHRP and the funding agency is needed. the link (access code), if any, between the research data and the identifiers has been destroyed. More details on data storage and retention can be found in the data management section below. A closure submission should be done as soon as the conditions above are met by creating a new submission package in IRBNet and including the closure form. If no continuing review application nor closure request is submitted by the investigator, projects will be closed by the IRB Office upon expiration. Once a study has been closed it cannot be re-opened. Any future work related to the study (e.g., long- term follow up with participants, additional enrollment and data collection, etc.) will require for a new project to be reviewed and approved by the IRB before the work can start. Paper Records (e.g., consent forms, data files, medical records, etc. ): Paper files related to human subjects participation in research must be securely stored on campus. Access to files should be restricted to key personnel and supervised by the principal investigator(s) of the study. Locked file cabinets ought to be used and preferably located in secured locations (i.e., locked office or laboratory). In the event that research activities are not carried on campus AND it is necessary to maintain the consent forms at the research site, copies of the signed consent forms should also be stored on a secure University location (either as a paper copy or in digital form). Signed informed consents must not be used as the identifying link to the research data and must NOT contain participant ID numbers nor be filed with other research data files. Digital Records (e.g., electronic files, digital recordings, etc. ): Digital files containing human subjects research data must be stored in password protected files, preferably on University maintained servers with regular and secured back-up. Sensitive data should also be encrypted, stored, and securely erased when appropriate, according to the UD guidelines for protecting Personally Indentifiable Information (PII). Tapes and other media-supporting devices used for audio and/or video recordings should be stored in the same secure manner as paper records and erased as soon as information has been transcribed or coded and is no longer needed for research. IRBNet will send automatic reminders 60 days and 30 days before the expiration date, and an expiration alert the day an approval is set to expire. Please plan to submit your continuing renewal application with enough time to allow for its review and approval. No recruitment, data collection or private identifiable data analysis activities shall be carried on under an expired protocol. If no continuing review application is submitted for review, projects will be closed after expiration. Further data collection and/or identifiable data analysis will require a new submission for IRB review and approval. Approved human subject research projects should be closed at the time all data have been collected and identifying information is no longer needed. De-identified data for which no identifying key exists can be kept for further analysis and do not require continuing review and approval by an IRB. A project closure report should be submitted to the IRB once data are no longer identifiable. Compliance with 45 CFR 46.115(b) requires that all records relating to IRB approved research be retained for three years after closure of the project. Records to be maintained include: copies of all research proposals reviewed, scientific evaluations (if any), consent documents, progress reports, reports of injuries to subjects and other unanticipated problems, and copies of all correspondences between the IRB and the investigator(s). Records may be preserved in hard-copy, electronic or other media form, and must be accessible for audit purposes. Records for completed projects should be stored in secure locations on campus with the same care used when the project was active. If a researcher (faculty, staff or student) leaves UD, a copy of the research records must remain on campus. Students should coordinate storage of research records with their faculty advisor(s) and/or departments. In the event that the advisor or department are unable to retain the records, they should be sent to the IRB office for secure storage in University Archives. Copies of all human subjects research records for faculty and staff leaving the University should similarly be sent to the IRB office for secure storage in University Archives. Records sent to archives will be recalled only in the event of an audit requirement, and will be destroyed at the end of the three-year retention period. Destruction of human subjects research records should be performed in a fashion that protects the confidentiality of the research subjects. It is recommended that paper records be shredded, that physical tapes (audio and video) be erased and physically destroyed, and that electronic media used to store data be scrubbed after the files are deleted. Researchers may retain de-identified data for future analysis in the context of the project for which the data were collected. Data are considered to be completely de-identified when ALL links between individual identity and the data are destroyed. Research data are not considered de-identified simply because names have been removed if they still contain information that might identify the participants such as date of birth, address, etc. For further guidance, please contact the IRB Office at 302-831-2137. National Institutes of Health (NIH) generally defines a clinical trial as a research study in which one or more human subjects are prospectively assigned to one or more interventions (which may include placebo or other control) to evaluate the effects of those interventions on health-related biomedical or behavioral outcomes. An interactive decision tool of the FDAAA applicable clinical trials definition is offered at https://grants.nih.gov/clinicaltrials_fdaaa/ACTs_under_FDAAA.htm enabling users to identify if the FDA requirements would apply to a specific study. Per NIH, a Clinical Trial is a research study in which one or more human subjects are prospectively assigned to one or more interventions (which may include placebo or other control) to evaluate the effects of those interventions on health-related biomedical or behavioral outcomes. The ICMJE defines a clinical trial as any research project that prospectively assigns people or a group of people to an intervention, with or without concurrent comparison or control groups, to study the cause-and-effect relationship between a health-related intervention and a health outcome. Health-related interventions are those used to modify a biomedical or health-related outcome; examples include drugs, surgical procedures, devices, behavioral treatments, educational programs, dietary interventions, quality improvement interventions and process-of-care changes. Health outcomes are any biomedical or health-related measures obtained in patients or participants, including pharmacokinetic measures and adverse events. For questions, send email to: clinicaltrials@udel.edu. Federal regulations and journal publications standards require that investigators register certain clinical studies in a publicly accessible database. 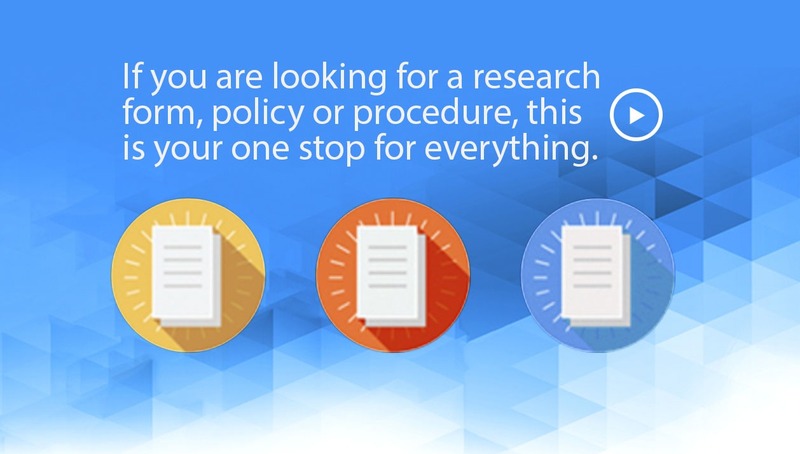 www.ClinicalTrials.gov was created to support compliance with those requirements and standards. The diagram at right depicts the different requirements and how they, in some cases, may overlap. The FDA Amendments Act of 2007 (FDAAA) requires “Applicable Clinical Trials” involving drugs, biological products and devices subject to the FDA regulations to be registered in ClinicalTrials.gov, regardless of the funding source for the study. 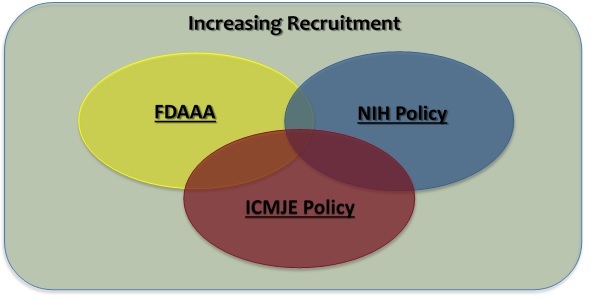 The NIH Policy on the Dissemination of NIH-Funded Clinical Trial Information (“NIH Policy”) is complementary to the reporting requirements of FDAAA and establishes the expectation that all investigators conducting clinical trials funded, in whole or in part, by the NIH will ensure that these trials are registered and that results submitted to ClinicalTrials.gov. The International Committee of Medical Journal Editors (“ICMJE”) policy (adopted by over 1,000 journals) requires, and recommends that all medical journal editors require, registration of clinical trials in a public trials registry at or before the time of first patient enrollment as a condition of consideration for publication. In addition, an investigator may voluntarily decide to register a study not subject to any of the requirements above (e.g., an observational study with no intervention assignment and not intended to be published in a ICMJE journal) as a way to publicly advertise the research (i.e., recruitment of research subjects). ClinicalTrials.gov supports and encourages the registration of all research studies with human subjects, even if an explicit requirement does not apply. I am the PI of a clinical trial. What do I do? Toward the bottom of the page, click the link, “PRS Administrator Contact Request Form.” Complete the contact request form for the appropriate organization (University of Delaware). You will receive an email from clinicaltrials.gov with the email address for the University of Delaware Protocol Registration System (PRS) Administrator account, clinicaltrials@udel.edu. 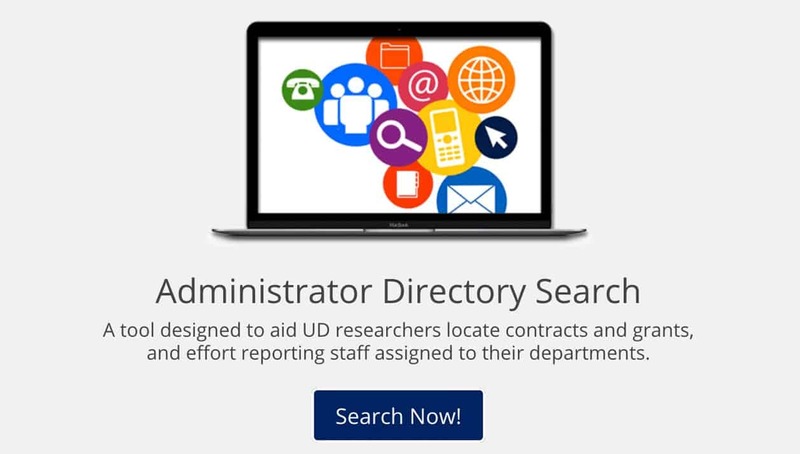 Email the UD PRS Administrator account and request a username and password. University of Delaware has a PRS Administrator account – do not create PRS “individual account” when registering with ClinicalTrials.gov. If you do not know if you have an account or have forgotten your username, use the steps above to verify your username. Once a username and password has been obtained, proceed to the ClinicalTrials.gov “PRS Login Page,” and enter the organization (UDelaware), username and password. For basic help with using PRS, review the “Quick Start Guide” and the “PRS User’s Guide” found in the “Help” section of the PRS top main menu, which is accessible after logging with your username and password. Complete all fields with information related to the trial. Once all of the information has been entered in the PRS record, marked as complete and released, an automated email will be sent to the UD PRS Administrator. Upon completion of the administrative review, which typically takes 3-5 business days, a UD PRS Administrator will approve and release the record to ClinicalTrials.gov, where the PRS team will review the record for quality control purposes prior to posting on the ClinicalTrials.gov website. How do I Submit Trial Results? Update the “Protocol Section” and release (submit) the record. a. 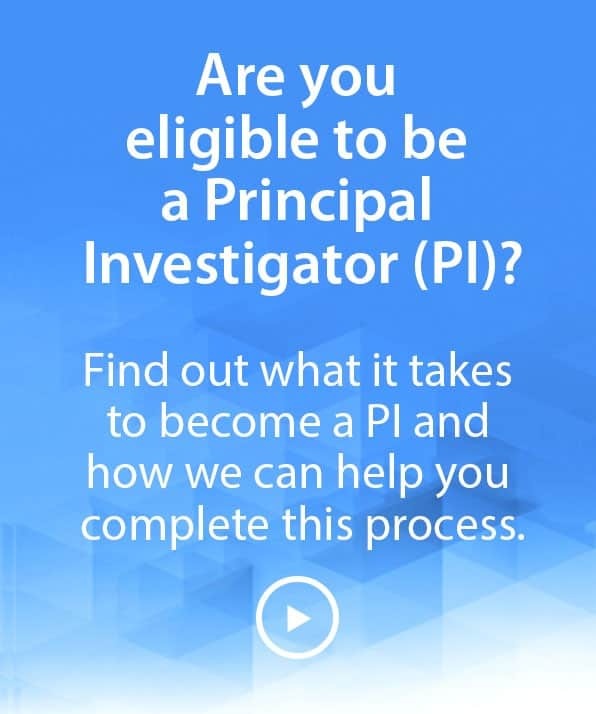 Ensure that the information in the Protocol Section is up-to-date before starting the Results Section (e.g., overall recruitment status, study start date, primary and study completion dates, actual enrollment, and arm and intervention information.)b. Begin results submission after the updated record has been published on ClinicalTrials.gov. Participant Flow Summary of the progress of participants through each stage of a study, by study arm or comparison group. It includes the numbers of participants who started, completed and dropped out of each period of the study based on the sequence in which interventions were assigned. The module accommodates a wide range of study designs and allows for the description of key events following study enrollment but prior to group assignment. Baseline Characteristics Summary of the data collected at the beginning of the study for all participants, by study arm or comparison group. These data include demographics, such as age and gender, and study-specific measures (e.g., systolic blood pressure prior to exercise treatment). Outcome Measures and Statistical Analyses Summary of outcome measure values, by study arm or comparison group. It includes tables for each prespecified Primary Outcome and Secondary Outcome and may also include other prespecified outcomes, post hoc outcomes and appropriate statistical analyses. Adverse Events Summary of all anticipated and unanticipated serious adverse events and a tabular summary of anticipated and unanticipated other adverse events exceeding a specific frequency threshold. When the record is released, an automated email will be sent to the UD PRS Administrator. Upon completion of the administrative review, which typically takes 3-5 business days, the UD PRS Administrator will approve and release the record to ClinicalTrials.gov, where a ClinicalTrials.gov staff member will review the record for quality control purposes prior to posting the results on the ClinicalTrials.gov website. a. “Basic Results Data Element Definitions” contains descriptions of each required data item. b. Results data preparation checklists, simple results templates for each module, required data and a view of data elements in a tabular form are listed in the “Scientific Information” section of the “How to Submit Your Results” guidance on ClinicalTrials.gov. c. “Helpful Hints” contains tips on entering results data, including three examples of common study models (parallel design, crossover design and diagnostic accuracy studies) and measure types. For questions, send email to the University of Delaware Research Office. ClinicalTrials.gov may be contacted with questions or for guidance via email at register@clinicaltrials.gov. If the question is about a specific study record, please provide the NCT Number or the Unique Protocol ID (if an NCT Number has not yet been assigned). Be detailed in your request. ClinicalTrials.gov generally responds to all emails within one business day. Please see ClinicalTrials.Gov Guidance & Procedures here. Ethical principles for the protection of human subjects in research. The Federal Policy for the Protection of Human Subjects or the “Common Rule” was published in 1991 and codified in separate regulations by 15 Federal departments and agencies, as listed here.